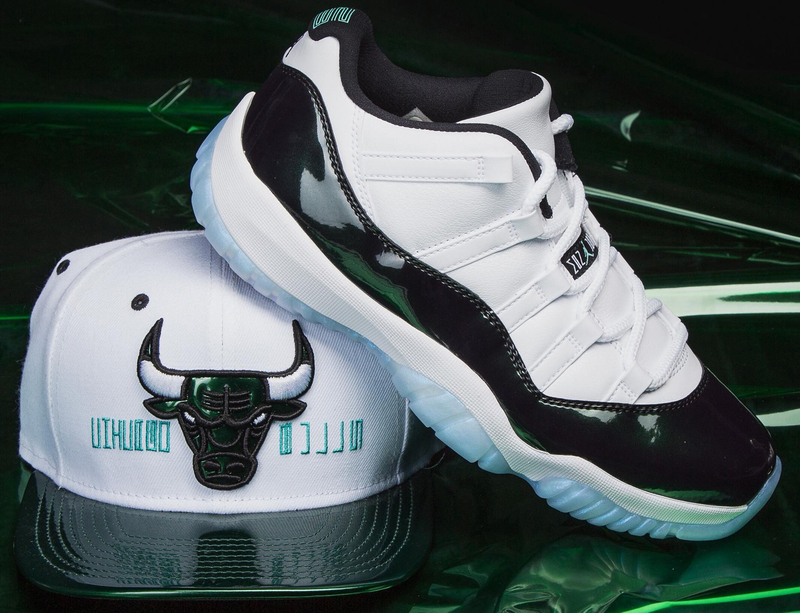 Fresh off the Easter release of the Air Jordan 11 Low “Emerald” sneakers comes a recap of some of the best hats to match the shoes. 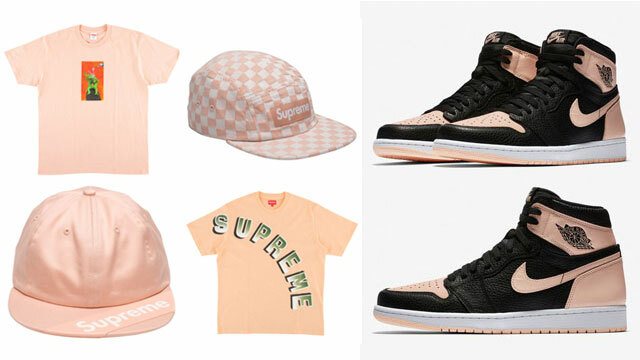 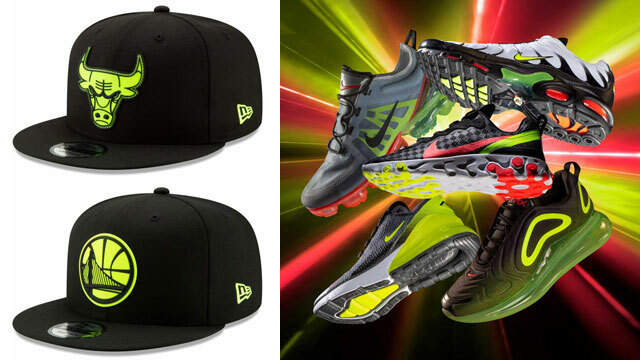 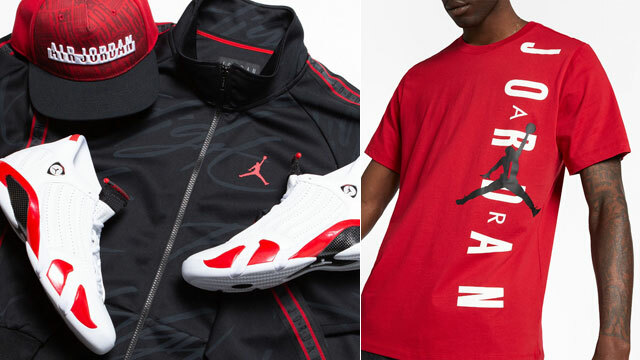 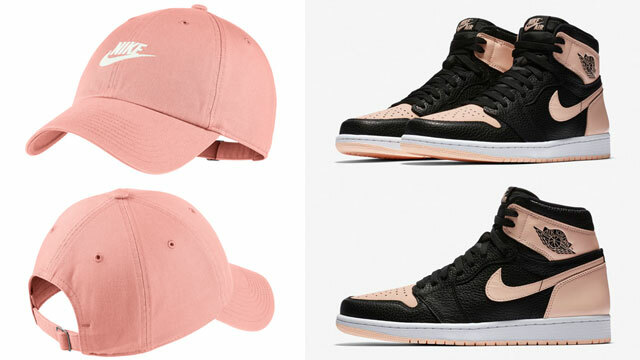 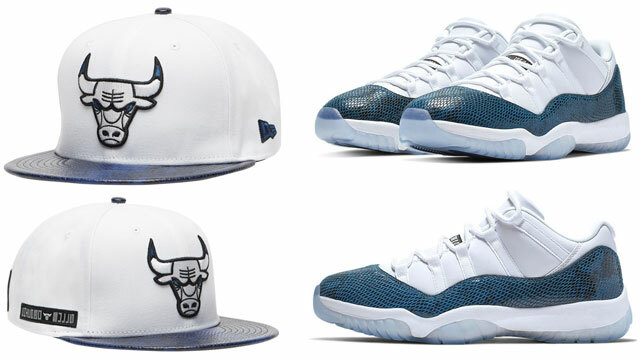 Included in the mix of styles are snapback, strapback and fitted caps to complement the kicks, with matching colored headwear from New Era, ’47 and Jordan Brand. 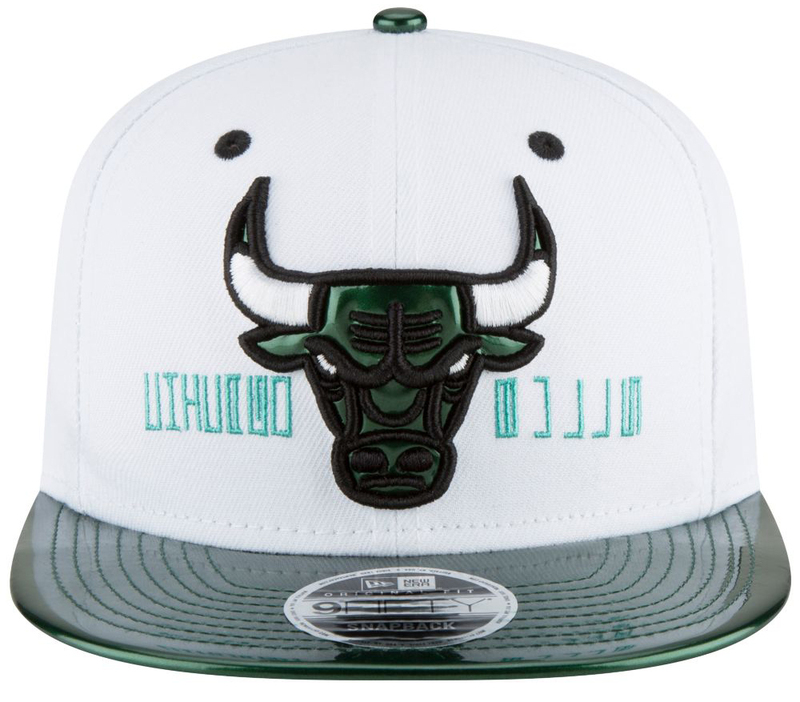 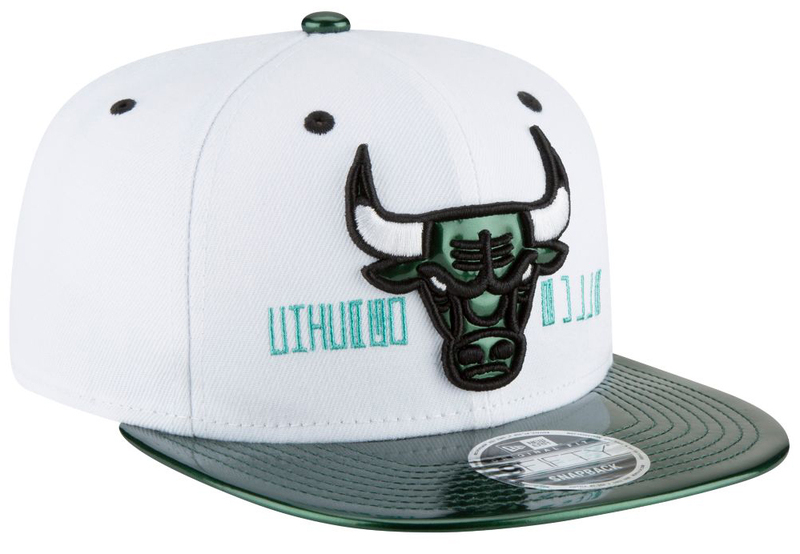 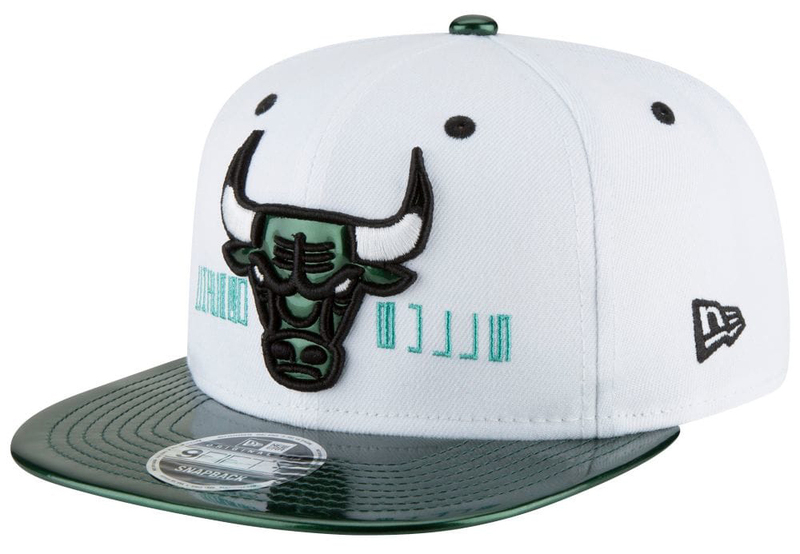 Selected styles from New Era include the Chicago Bulls Retro 11 Hook Snapback Cap (shown above) which features colors and emerald patent cues inspired by the shoes, as well as dark green 59FIFTY MLB fitted caps, plus pastel colored 9FIFTY NBA and MLB snapbacks in a teal tint. 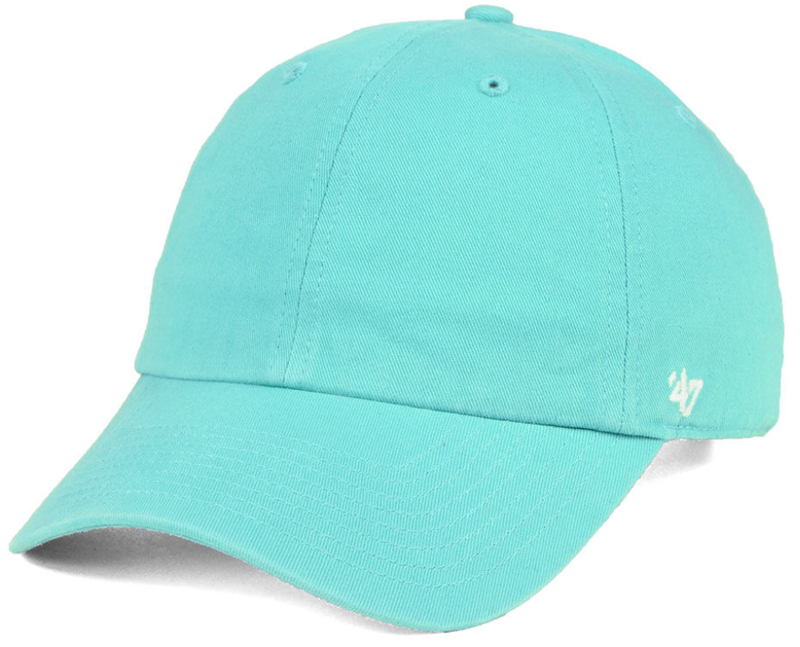 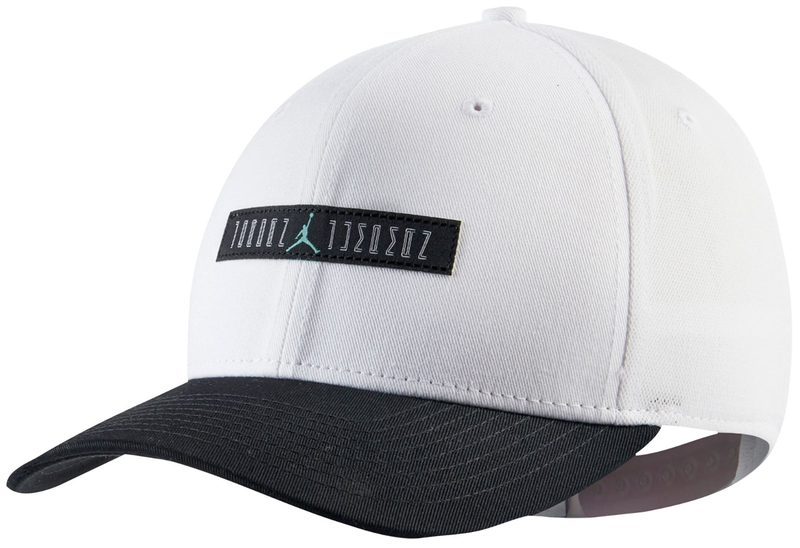 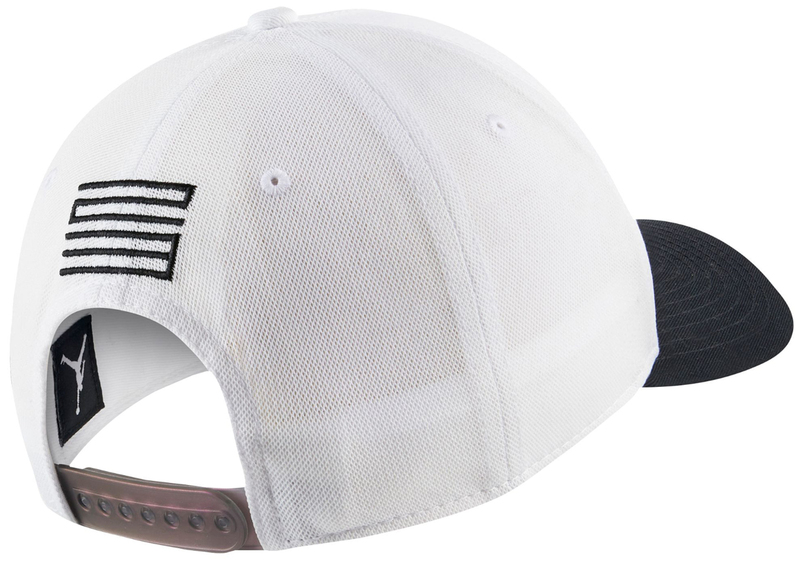 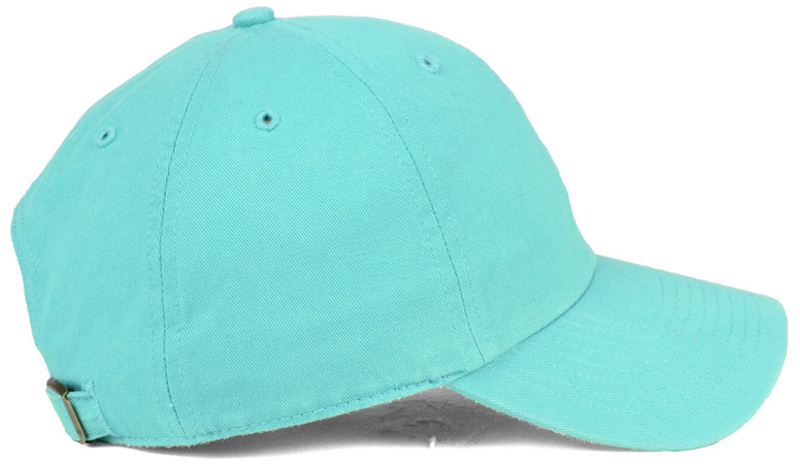 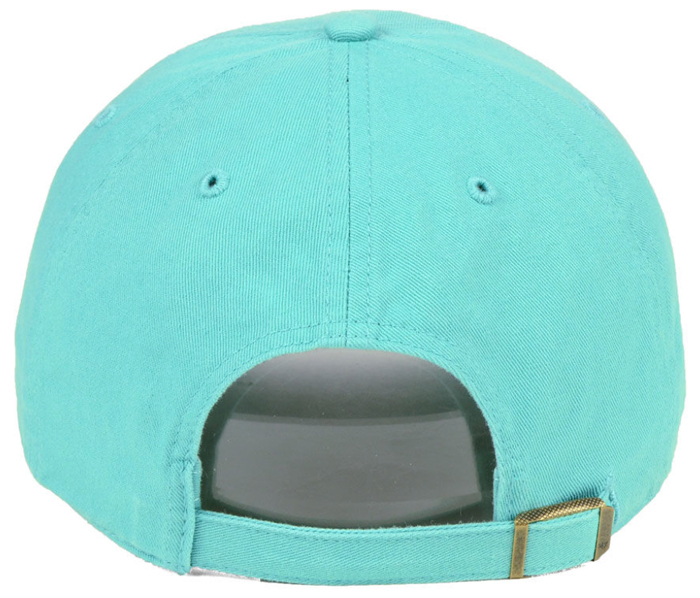 47 Brand also has a turquoise colored CLEAN UP strapback cap in classic dad hat style, while Jordan Brand has a Jordan Retro 11 Snapback Hat to hook with the kicks. 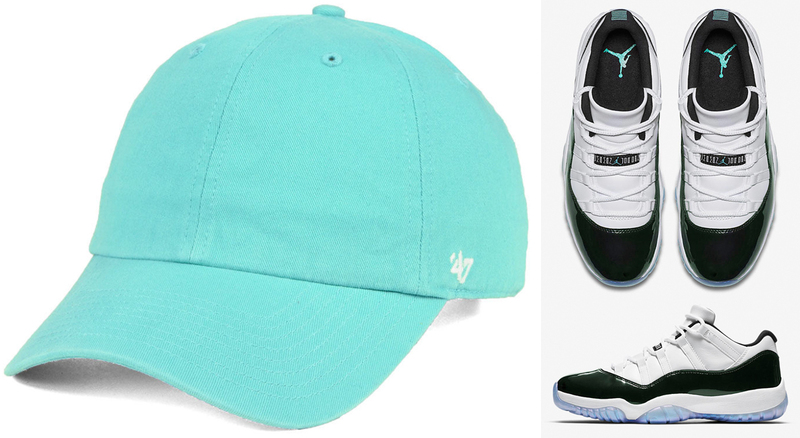 Scroll down for a closer look at all of the best hats to match the Air Jordan 11 “Easter” sneakers below. 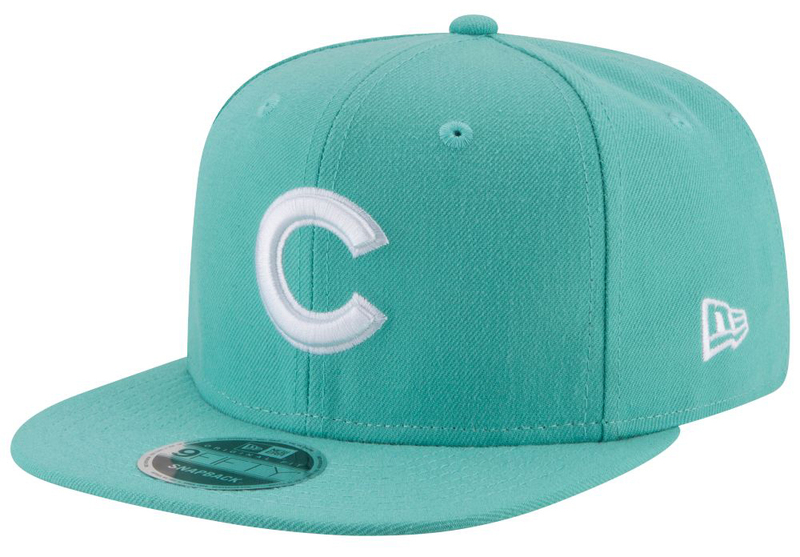 If 59FIFTY fitteds are your cap of choice, New Era has these dark green MLB hats that are a pretty good match for the Emerald Air Jordan 11 Low “Easter” sneakers. 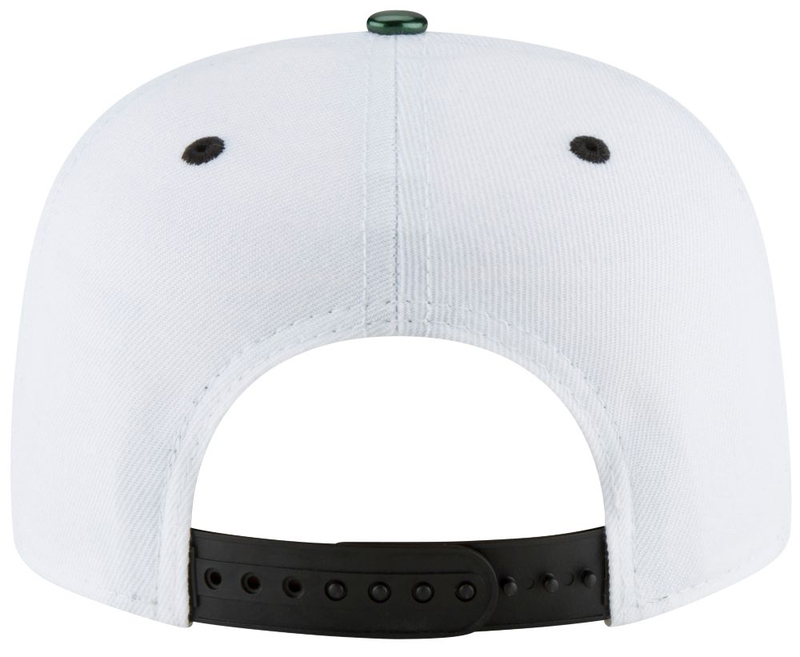 With a bunch of different baseball teams to choose from like the Cubs, Yankees, Red Sox, Tigers, White Sox, and several others, these dark green 59FIFTY fitted caps are good to hook with the emerald green and white AJ 11 Low Retros, with team logo on the front, New Era flag on the side, and MLB branding at the back. 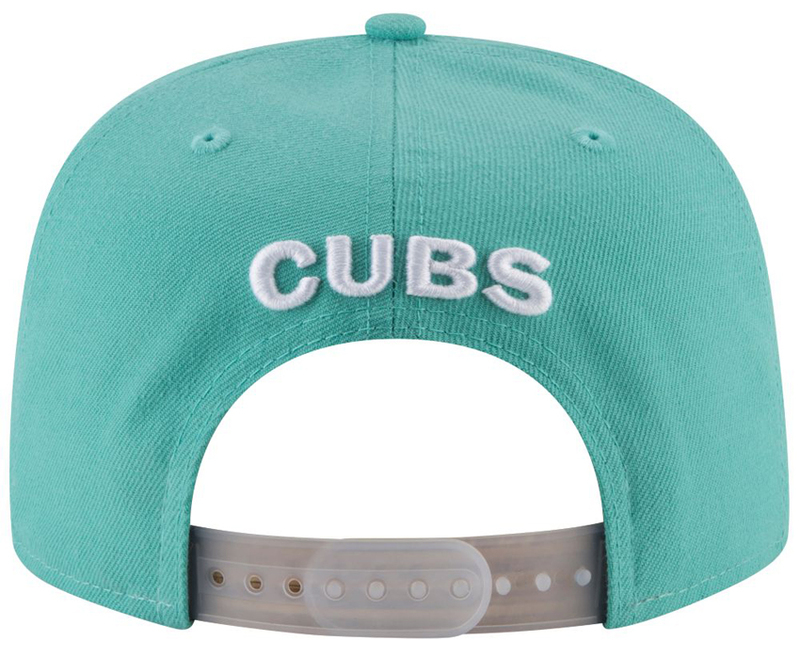 For a lighter colored look to hook, there are also these New Era MLB Pastel Snapback Caps in a mint tint to match the accents on the shoes, of you can also shop these green New Era NBA 9TWENTY Strapback Caps for an alternate look to match with the kicks, or better yet, this New Era Bulls Retro 11 Snapback Hat. 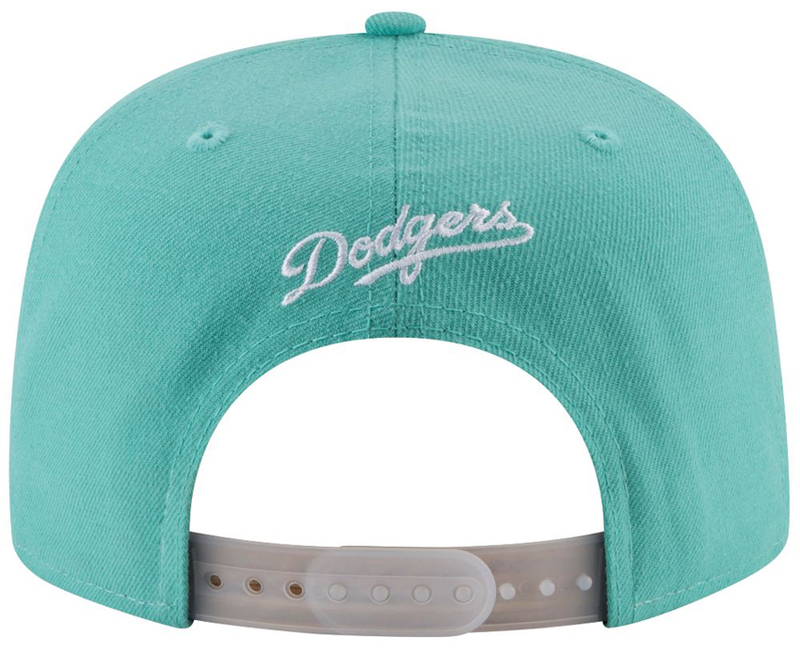 The New Era MLB Emerald Green 59FIFTY Fitted Caps are available to buy here. 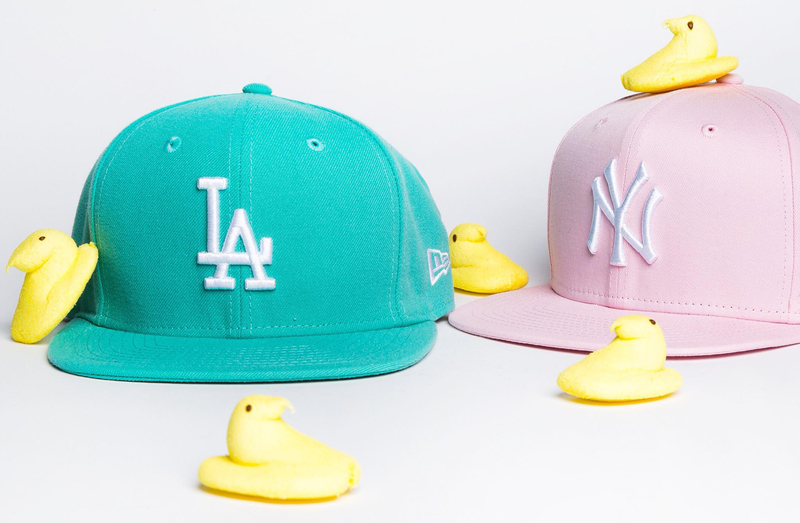 A new collection of New Era MLB Pastel Snapback Caps have popped up for spring, arriving right in time to pair up with the Iridescent Emerald Air Jordan 11 Low “Easter” sneakers. 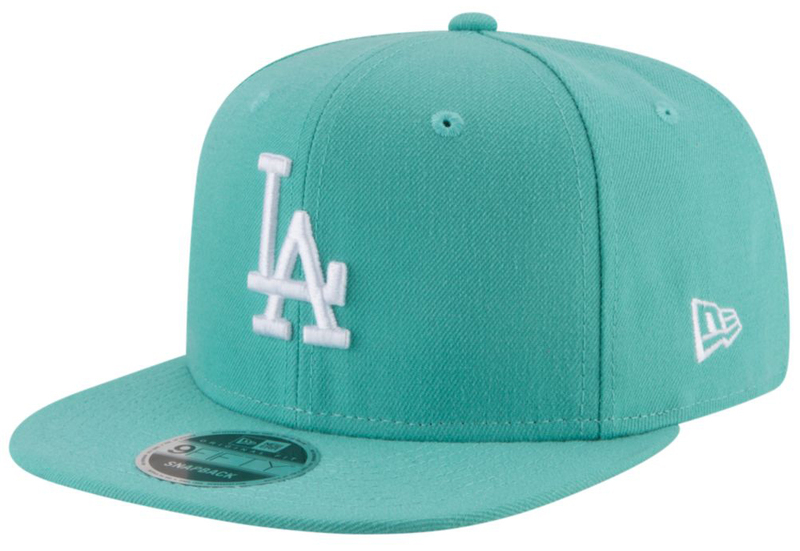 Available in a mint tint to match the emerald green accents on the kicks, as well as a few powder pink options if you’re searching for a pink hat to hook with some of your other sneakers this spring, these pastel snapbacks are perfect for the sunnier seasons, with LA Dodgers, Chicago Cubs, New York Yankees, and a few other MLB teams to choose from. 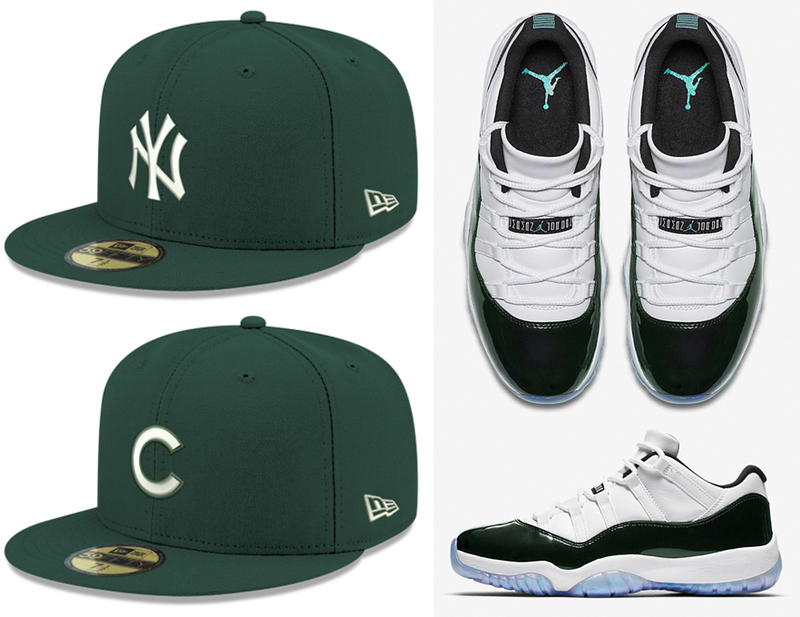 Take a closer look at the MLB caps to match the AJ 11 shoes below. 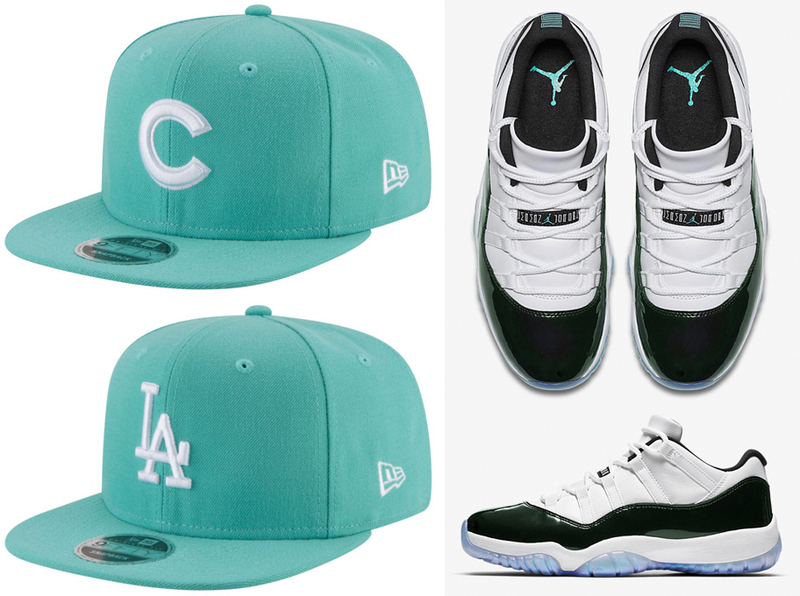 You can buy the AJ 11 “Easter” shoes here, with the New Era MLB Pastel Snapback Caps available here. 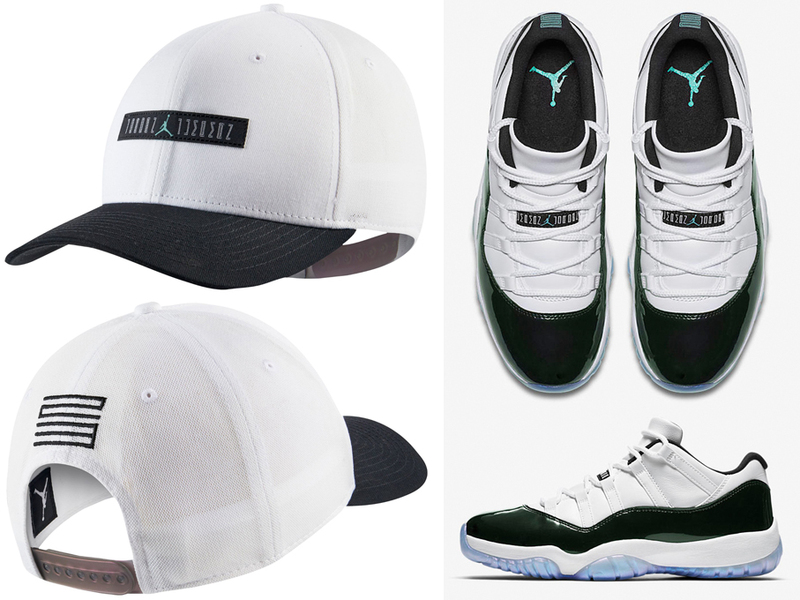 Top off your Easter fit in matching fashion when lacing up the Air Jordan 11 Low “Iridescent” sneakers with this Jordan Retro 11 Classic ’99 Snapback Hat to hook with the kicks. 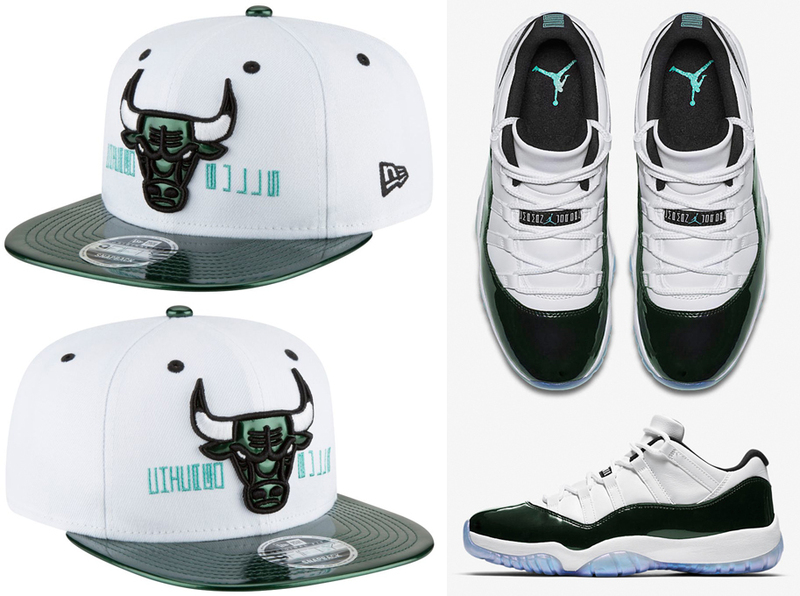 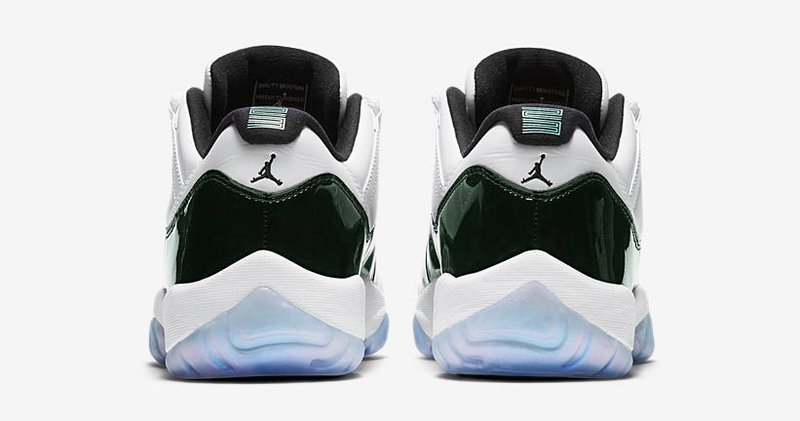 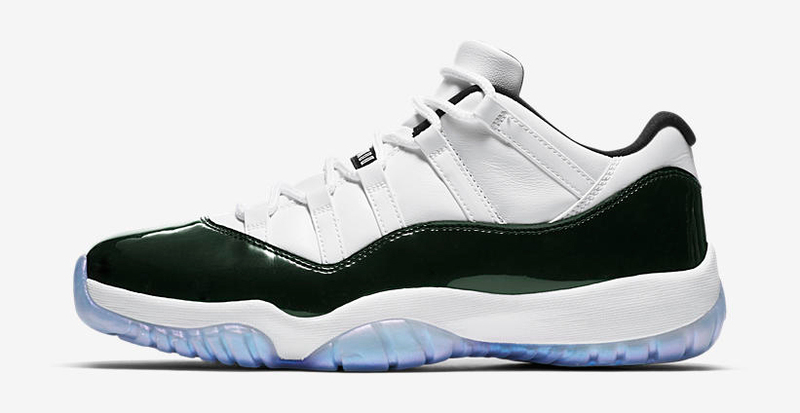 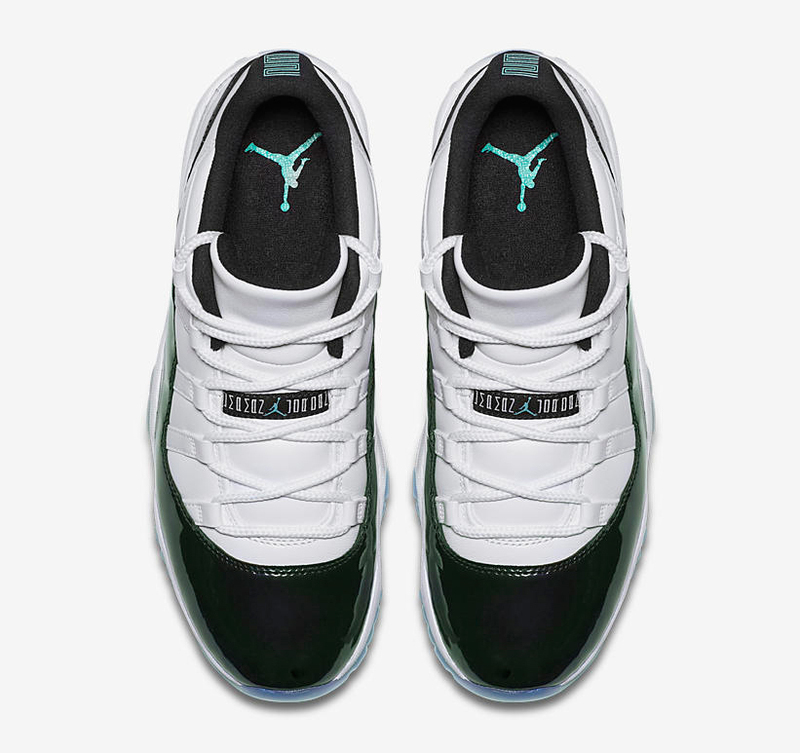 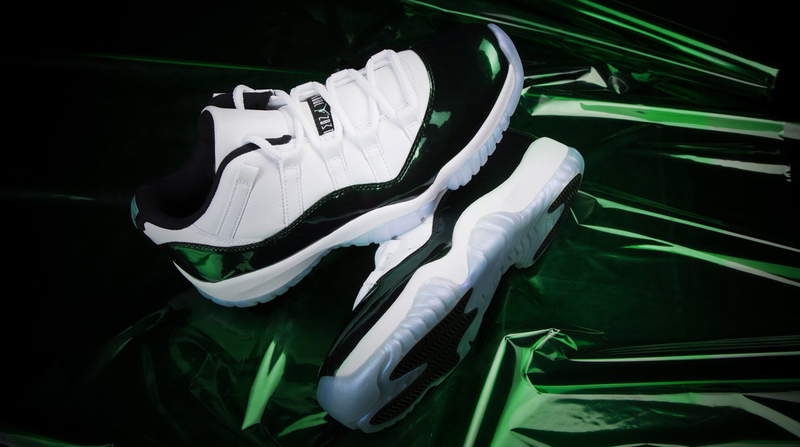 Inspired by the “Emerald” Air Jordan 11 Lows with colors and design cues to match, the Jordan Retro 11 Classic ’99 Cap mixes twill and mesh panels for a comfortable, ventilated feel, with a snapback closure for an adjustable fit, AJ 11-inspired graphics on both sides, and emerald green accents to complement the kicks. 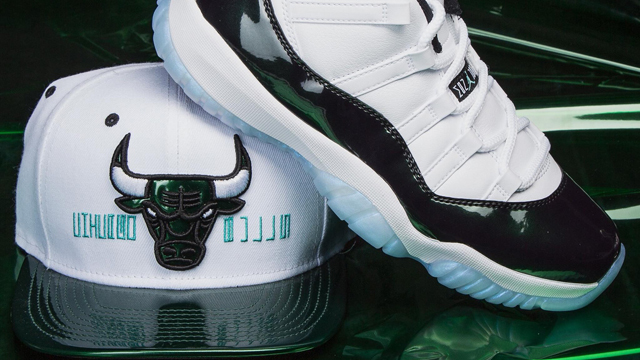 The Jordan Retro 11 Classic ’99 Snapback Cap is available to buy here.